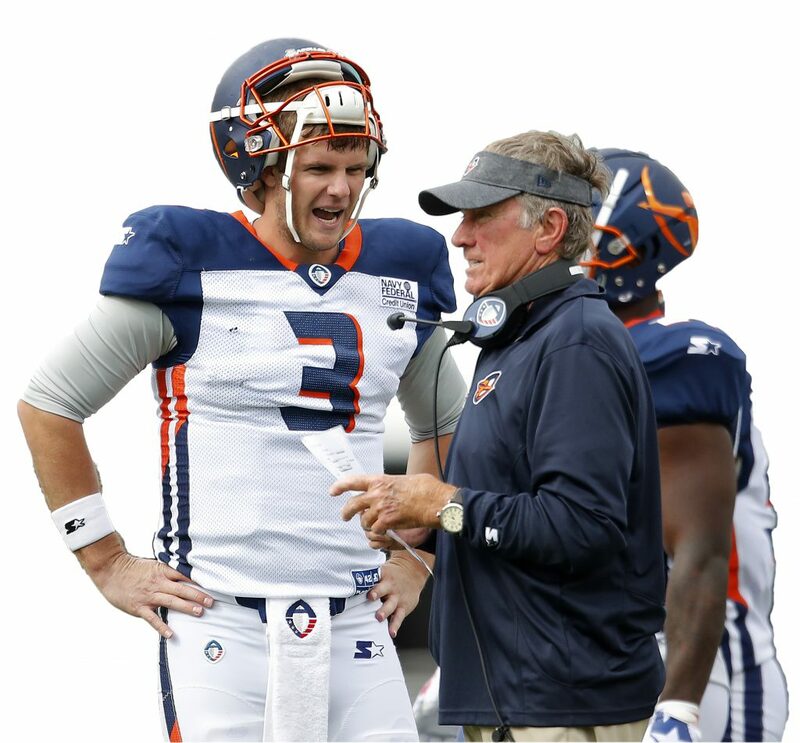 When the new Alliance of American Football announced it was starting a professional spring league team in Orlando with iconic Coach Steve Spurrier at the helm, the news sent ripples of excitement through Central Florida. In its first game, just six days after the Super Bowl, the team of 52 athletes beat the Atlanta Legends on its home turf, the Spectrum Stadium on the University of Central Florida campus. 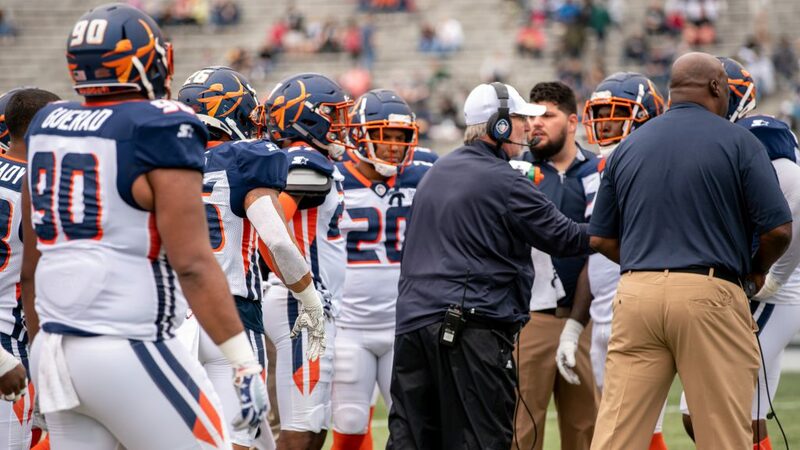 After five straight wins, it became clear the Orlando Apollos were the team to beat. Behind the excitement of a new football squad in a new league, there has been another team hard at work. 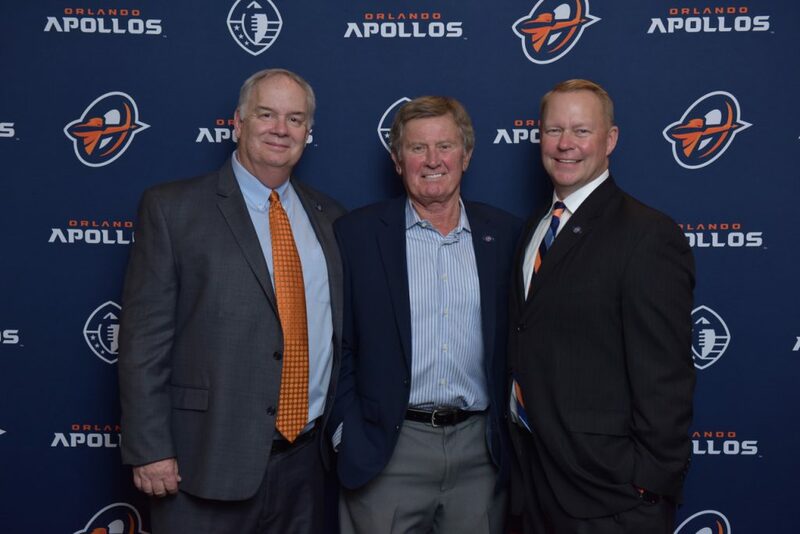 The 30 people in the front office have been tasked with making sure the Orlando Apollos organization assimilates into the community, sells tickets, brings in sponsors, supports local causes and creates a favorable reputation for all of AAF football year-round. 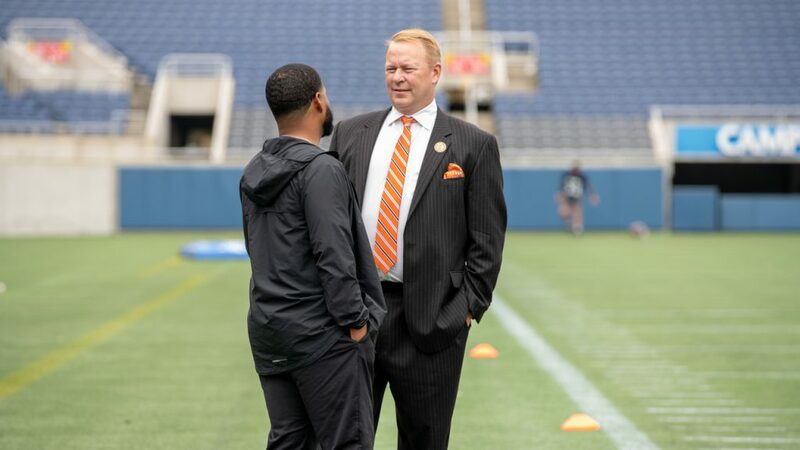 The man behind that tall order is Mike Waddell, president of the Orlando Apollos. Ask Waddell how a guy who worked with NASCAR in North Carolina was the one to get the call from a recruiter to be the leader of the operation in Orlando, and he shrugs. Waddell’s sports broadcasting background comes out when he recites the stats about Spurrier’s 50-year career: “We are very, very blessed to be aligned with the Head Ball Coach, Steve Spurrier, a former Heisman Trophy winner, a Florida football legend as a player and as a coach. To have him as the face of the team has been an incredible bonus for what we’re trying to build here in Orlando. “His first year as the quarterback of the Gators was in 1964. He went through his playing career there, winning the Heisman Trophy there. He’s been the head coach there. He was head coach also at Duke University, University of South Carolina, the Tampa Bay Bandits in the USFL. He also played in the NFL with the San Francisco 49ers. He was also the head coach of the Washington Redskins in the NFL. And now he’s the head coach of the Orlando Apollos. The team’s general manager also brings prestige to the Orlando franchise, Waddell said. 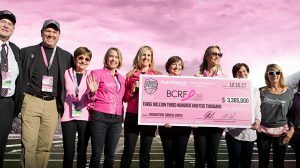 Ruskell has worked with the NFL in several high-level leadership positions for teams including the Seattle Seahawks, Chicago Bears, Atlanta Falcons and Tennessee Titans, where he held titles including president/general manager, director of player personnel and director of college scouting. He spent his teen years in the Tampa Bay area and graduated from the University of South Florida. When Waddell started his job at the end of August 2018, he was a staff of one. Since then, he has built the front office team hire by hire. It has been an interesting assignment selling a sport that is familiar but somewhat different. 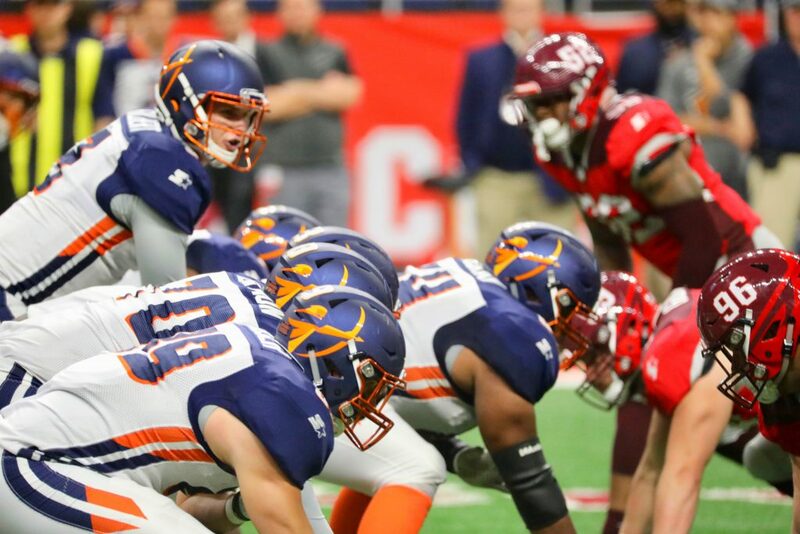 The AAF, which has eight charter teams, issued a set of rules that makes the game distinct from that of the NFL or other leagues. In addition to learning the new rules, the players and coaches have gone through additional challenges. Because of a glitch in Florida’s workers compensation rules, the team has spent part of the season staying in Jacksonville and driving over the state line into Georgia for daily practices. Central Florida was ripe for an AAF team, Waddell said, because it loves sports. Especially football. He names all the different events Orlando hosts — everything from college bowl games to the NFL Pro Bowl to high school games and adult flag football leagues. About half of the Apollos team members have played college football for teams including the UCF Knights, the Florida Gators, the Florida State Seminoles, the Miami Hurricanes and the Bethune-Cookman Wildcats. A 30-year veteran of professional and college sports, Waddell had spent the previous two years as vice president at Richmond Raceway, a Virginia track that hosts the Monster Energy NASCAR Cup Series and the NASCAR Xfinity Series. Working on only two events a year was a shock to the system for someone who was in college athletics for 28 years and had games on his schedule 46 weekends a year, he said, laughing. Like Spurrier and Ruskell, Waddell came to Orlando with a long list of credentials in the sports world. He started off as a radio and television broadcaster with the University of North Carolina at Chapel Hill and continued in similar roles at the University of Virginia, Appalachian State University and the U.S. Military Academy. 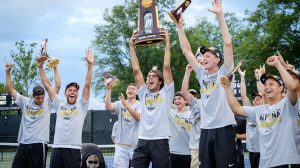 At Towson University in Baltimore, he oversaw the construction of a new $62 million multipurpose arena and negotiated the 10-year, $4.75 million naming rights deal. 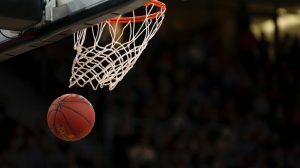 He also worked in executive athletic leadership positions at the University of Illinois, University of Arkansas, University of Cincinnati and University of Akron. Waddell comes by his love of sports naturally. His father started taking him to football games when he was not even 9 months old. His career started when he was in seventh grade in North Carolina, where his father, a business attorney, worked with several NASCAR drivers. Waddell helped NASCAR champion Ned Jarrett on his nationally syndicated radio program, making copies of tapes. His challenge in Orlando will be to get the Apollos involved in the community even in the off-season. The team is already engaging with nonprofits including Special Olympics and the Boys and Girls Clubs. Waddell had visited Orlando numerous times for sporting events and conferences. But even that didn’t prepare him for what he’d find in Central Florida as part of the Apollos organization. “So, I knew about Orlando, but I’ll tell you, it’s overwhelming when you get here and see the true spirit of the people,” he said. “I was blown away. And I’m not talking about sports now, I’m just talking about in general. Everyone I’ve met has been incredibly welcoming, from the government folks to the fans, to business and corporate leaders.